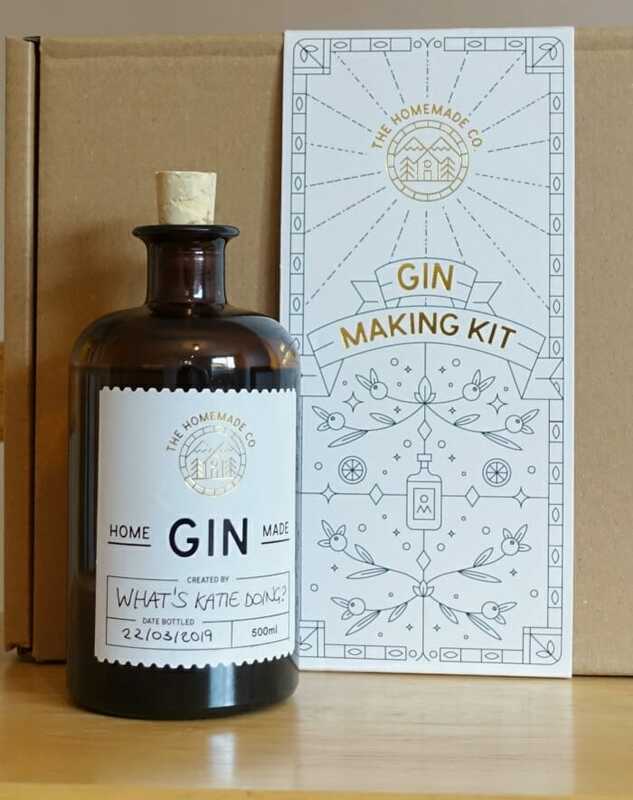 Make your own gin with the Homemade Co gin making kit - What's Katie Doing? 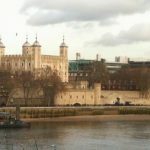 The most common being a ‘single shot pot distillation’ – i.e. putting everything in a copper pot and boiling it, condensing the vapours to capture the gin. 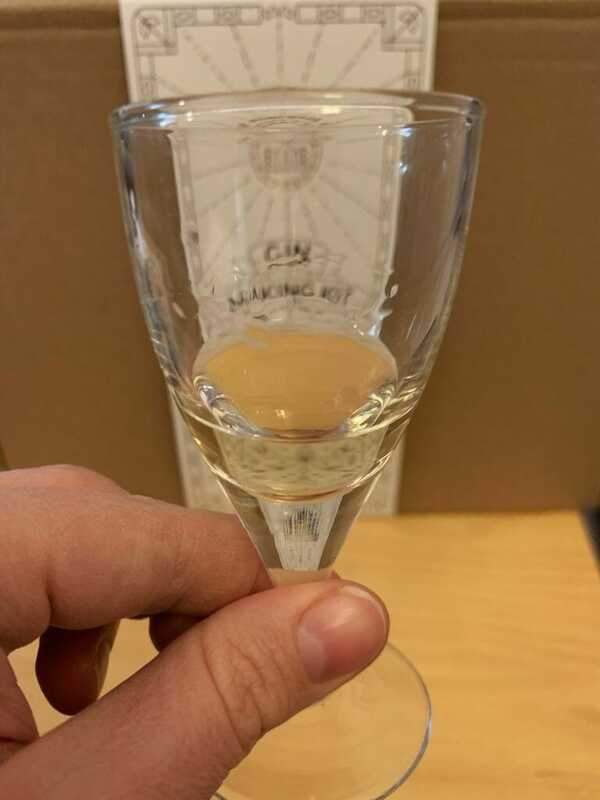 This can have some side effects if you don’t do it right… you need to make sure that you cut off any bad methanol and the real skill lies in knowing where the best flavour is found in the process. Another method is vapour distilliation. Where instead of putting the botanicals in with your spirit, you hang them over the spirit and allow the vapours to rise through and pick up the flavours. 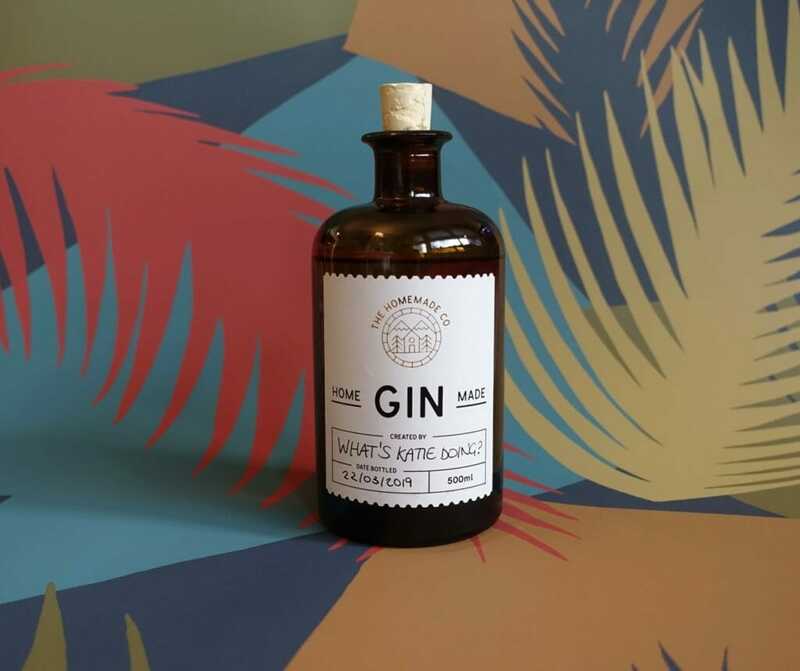 This can be a little more subtle and lighter in flavour as you are not ‘stewing’ the botanicals in the pot, but has the same dangers regarding the alcohol. 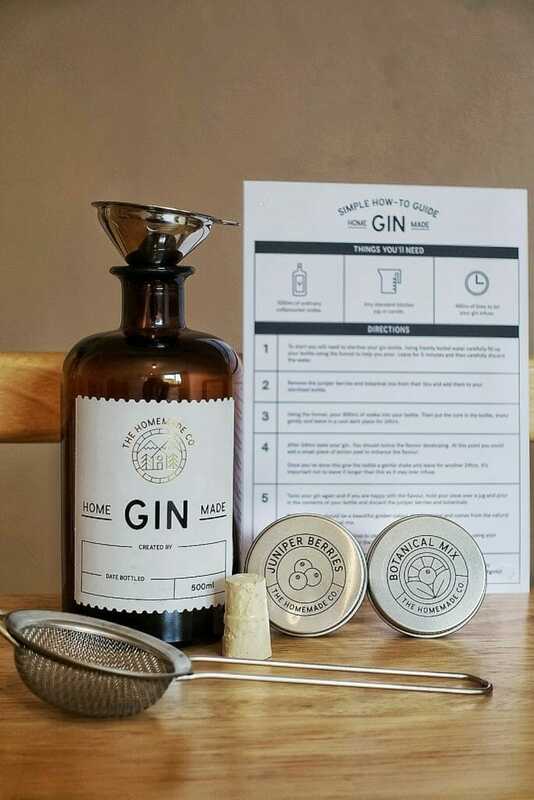 To see more information on gin types and styles read this post – What is Gin? The box arrives promptly via Amazon Prime and is well packed, with an outer box protecting the beautifully presented main box. Inside the box it’s very well designed to hold all of the pieces. 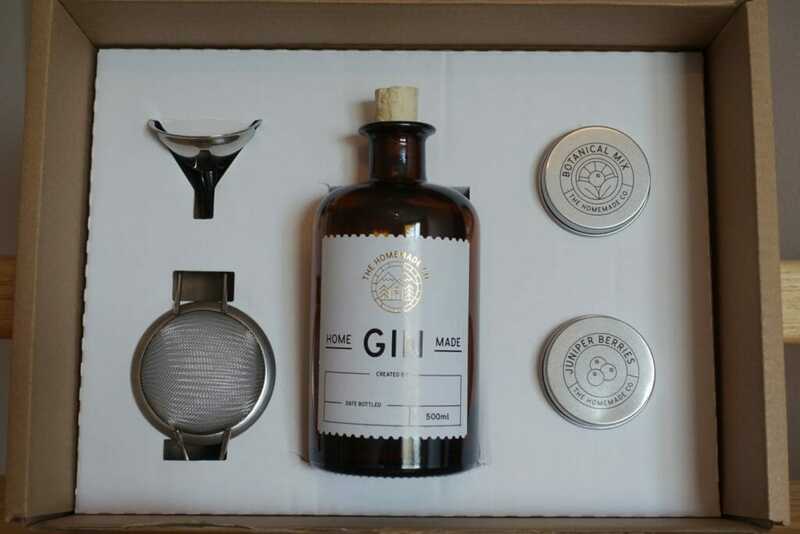 A (empty) bottle to customise for your own gin creation. 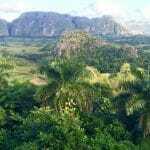 What you need to provide yourself is the neutral base spirit – i.e. vodka. 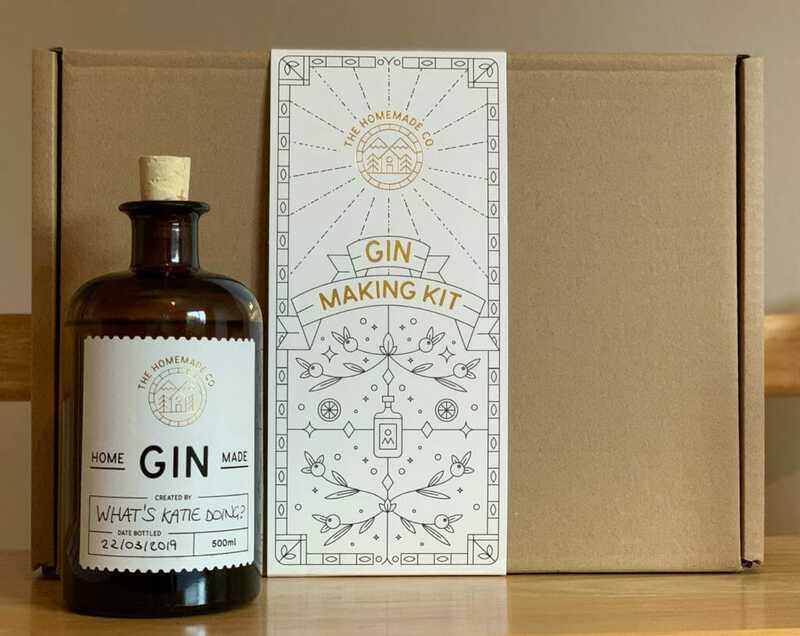 The botanical mix is their special blend of typical gin botanicals. I could identify coriander, cardamom and black pepper (? or maybe some other kind of pepper? ), but they don’t disclose the precise mix anywhere. 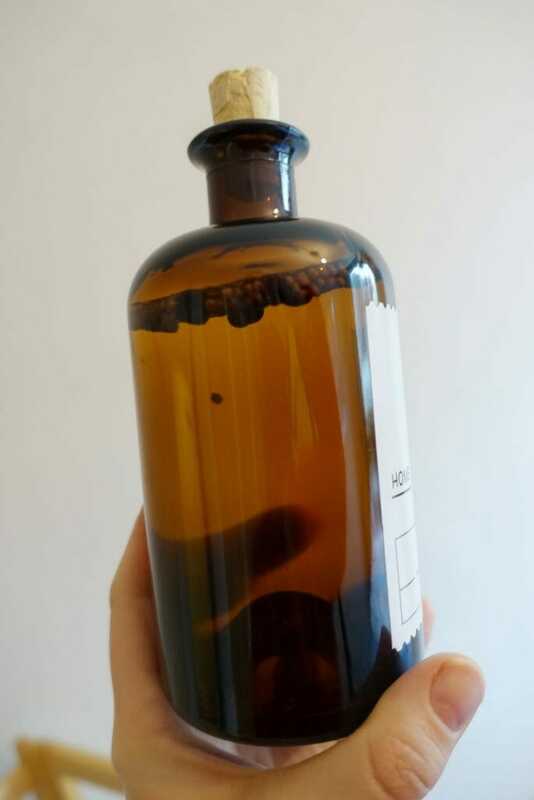 What the botanicals inside look like – I wasn’t sure what the white bits where, perhaps some kind of root? 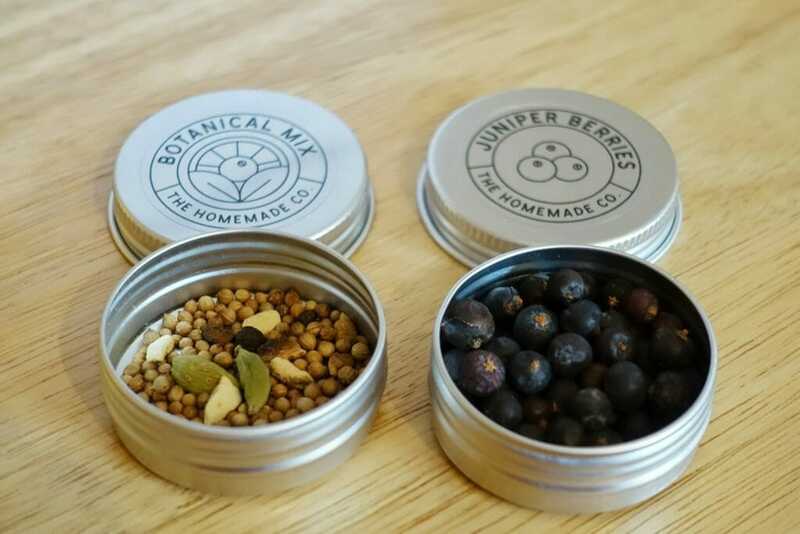 As you can see over half of the botanicals you have to add to your gin are juniper berries. This is important as to make it a gin, it has to taste of juniper! So following the instruction card I start with taking many photos (just kidding!*). 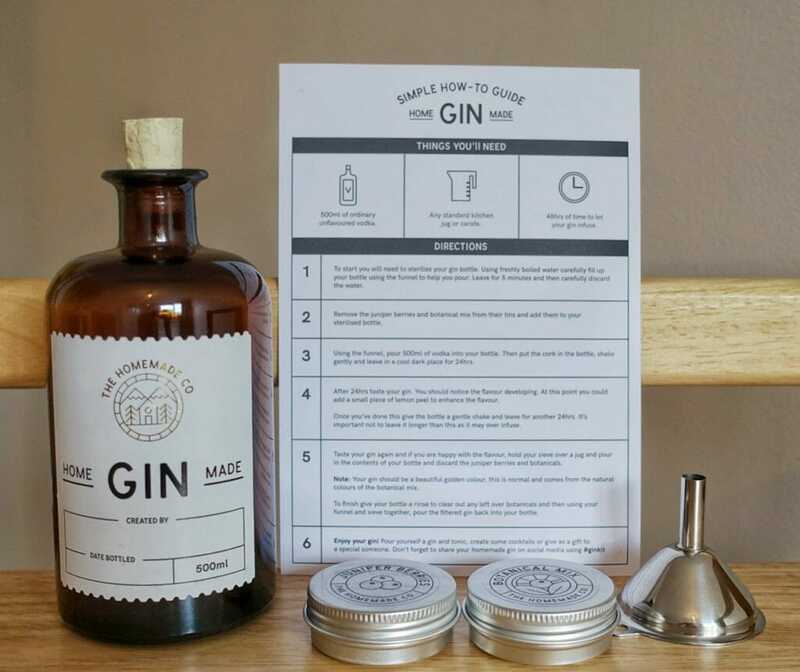 Ready to go – let’s make gin! First you need to sterilise the bottle, by filling it with boiling water and waiting for 5 minutes. I then took a tea towel to grip it (boiling hot bottle here!) and pour the water away. I let the bottle dry out and cool down, but it wasn’t specified in the instructions that you should do this (it just made sense to me). Measure out 500ml of your vodka (I used the last of mine brought back from Russia – when in Rome hey?!) and then add that to the botanicals. Give the bottle a shake and store in a dark dry cupboard for 24 hours. The next day I smelt it again and whilst it had a stronger juniper smell, the alcohol was still predominent. So I left it a little longer before adding the recommended fresh peel. You shouldn’t leave the fresh peel in the gin for too long, or the botanicals, or they can over infuse. 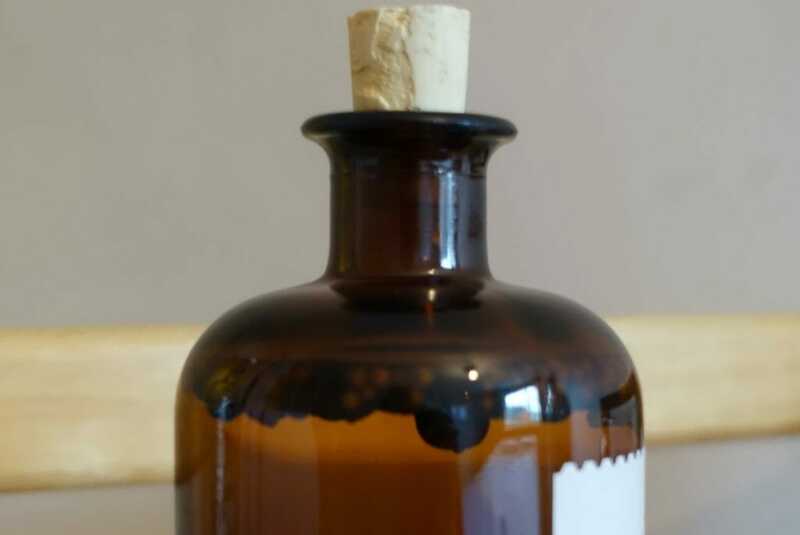 The total recommended amount of time is 48 hours for the base botanicals and only 24 hours for the peel at this volume (if I was making a larger amount I might leave the fresh ingredients a max of 2 days). Seeing as my base botanicals had 36 hours in the vodka, that meant the peel only got ~12 hours to infuse. 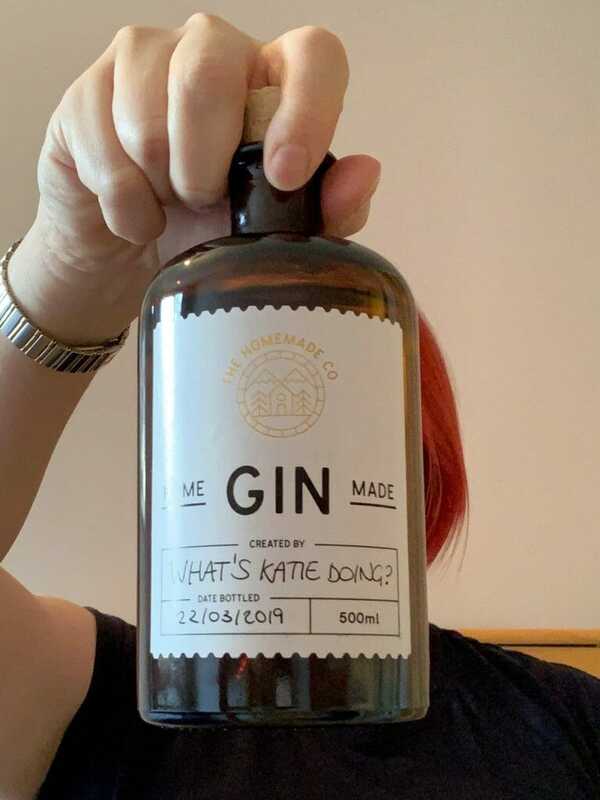 Taste your gin again after a total of 48 hours (in case I lost you above). If you like the flavour then it’s time to filter out the lumps (I mean botanicals). 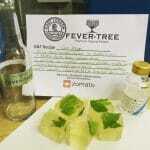 Use the sieve to catch the botanicals as you pour into the jug (don’t pour the gin away! 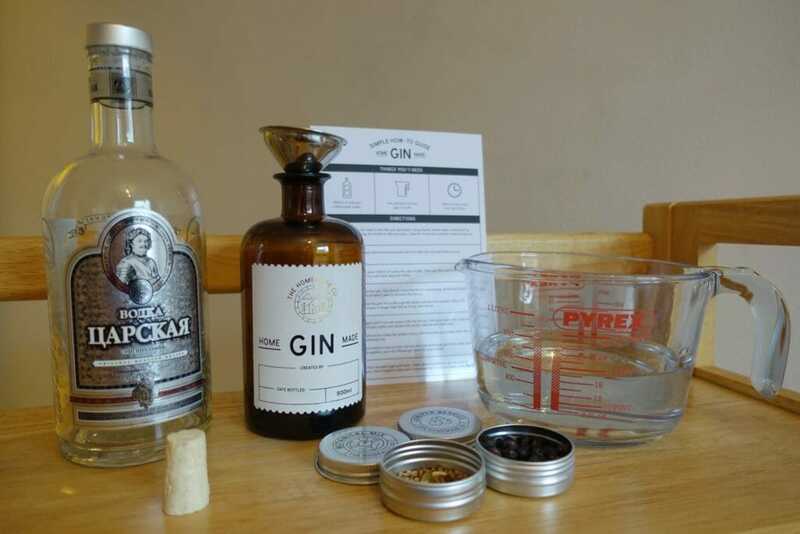 ), then use the funnel to pour the gin back into your bottle. Now when they say small pieces of the citrus peel, there is a reason for that… I had a difficult job getting my blood orange peel out of the bottle, but eventually I got it out. You don’t want to leave any of the botanicals in the bottle as they will keep altering the flavour over time. Enjoy your gin! It will have a golden colour, having picked this up along with the flavour from the botanicals. However in a gin and tonic you don’t notice this as the dilution means that the pale colour just won’t be seen. 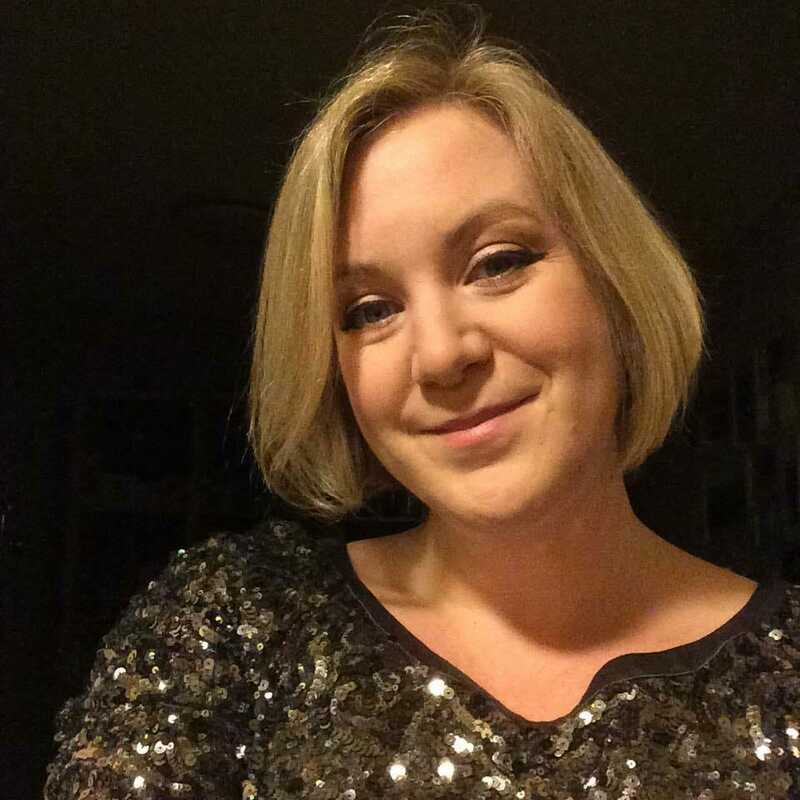 Make sure you personalise your label with your name and the date too. A top tip is to use a decent vodka. For a quality end product you need a decent quality neutral spirit, so don’t just choose the lowest priced one. It is important that you don’t leave the botanicals in for more than the recommended time. I’ve done something similar with Christmas spices and ruined a gin because the cloves overpowered everything else. 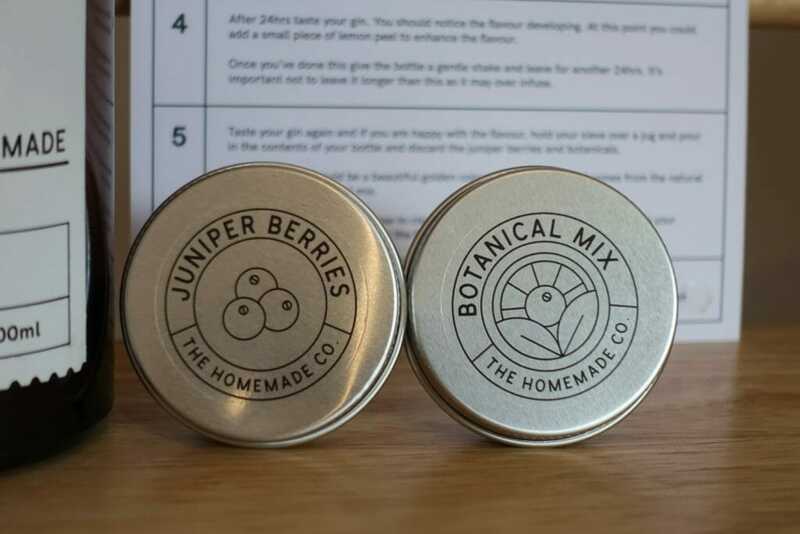 So the balance of time and amounts of spices is key – and this is what Homemade Co have worked out for you with the botanical mix. 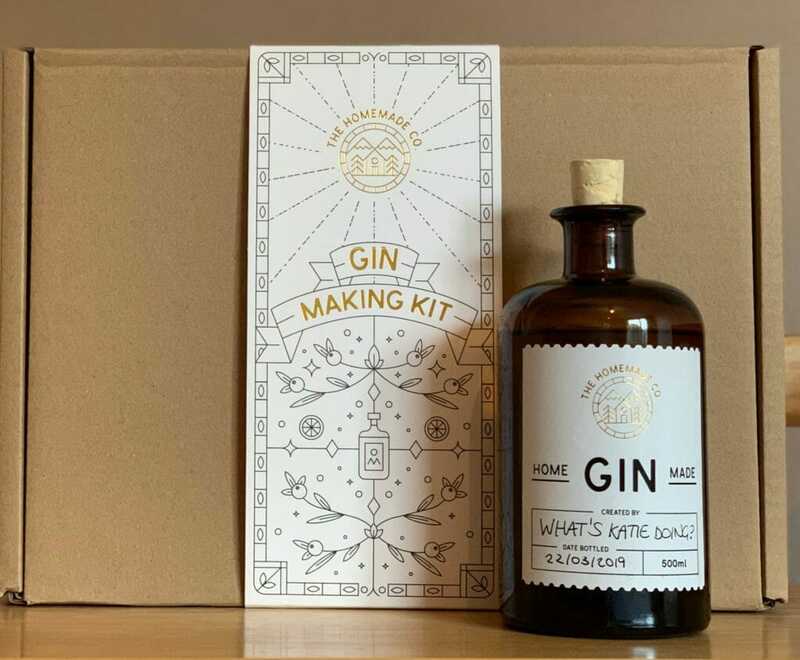 I would want to try this recipe again with the addition of extra juniper and the lemon peel that was recommended to see if this changes the flavour profile (I do love a citrus gin!). 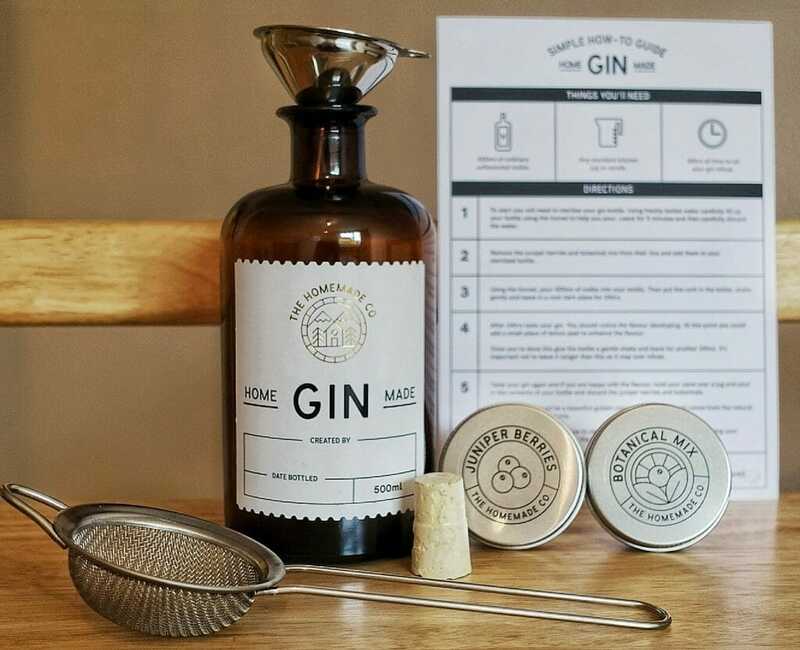 The Homemade Co gin making kit would make a great gift for a gin loving friend, or even a gin-volved Mum for Mother’s Day. 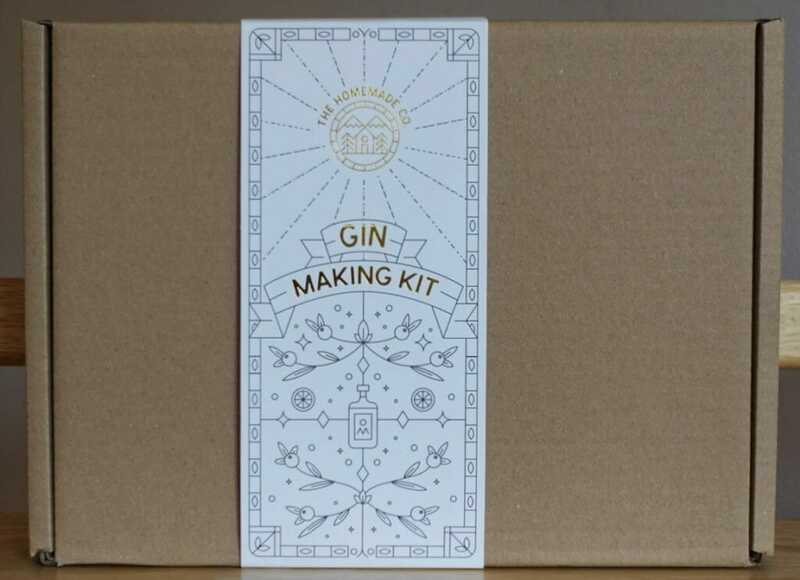 The packaging for the Homemade Co gin making kit is bespoke and beautifully designed. It really makes this look & feel like a gift product. 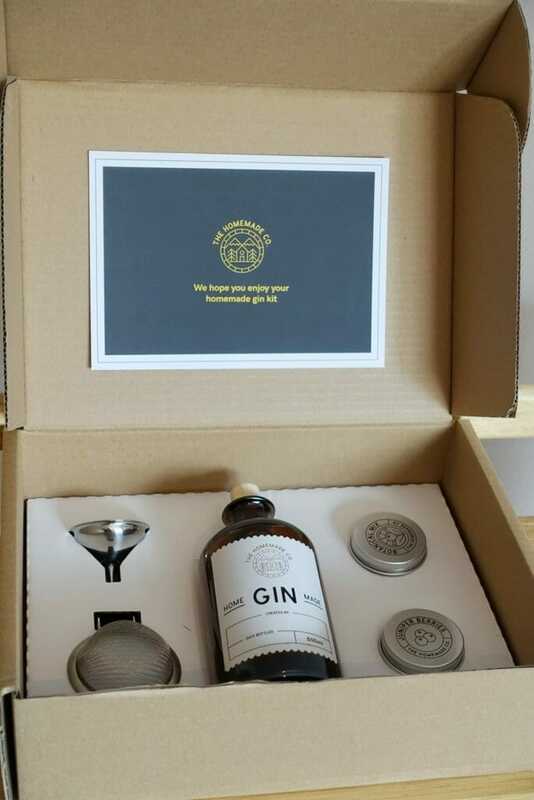 Anyone who likes their gin or even just experimenting with food and drink would love to receive this. If they are extra special then make sure to buy them a bottle of vodka too to start them off too! If you have Amazon Prime membership then the kit can be delivered next day for free. So the last order date for Mothering Sunday is Thursday 28th March 2019. 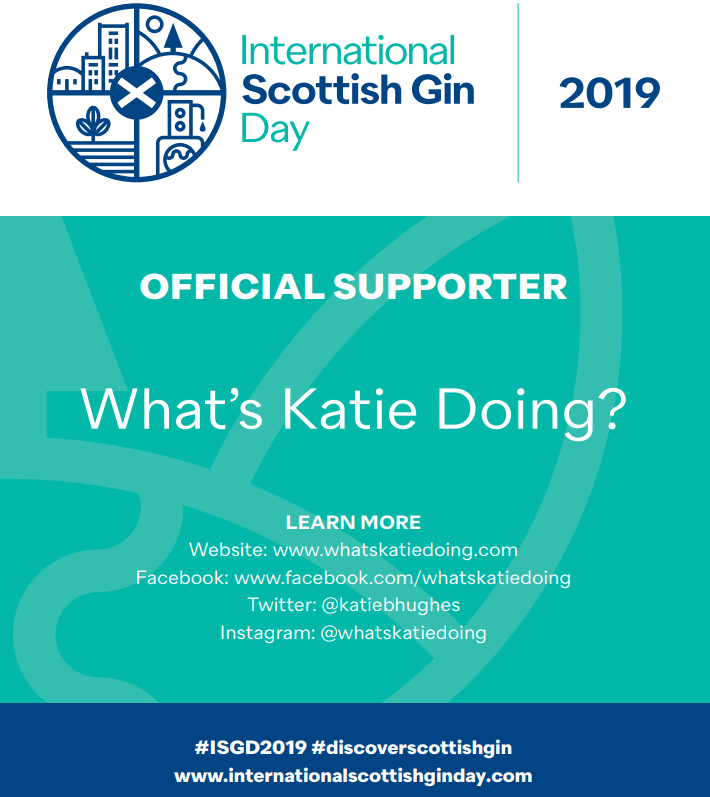 Pin me for your gin inspiration! 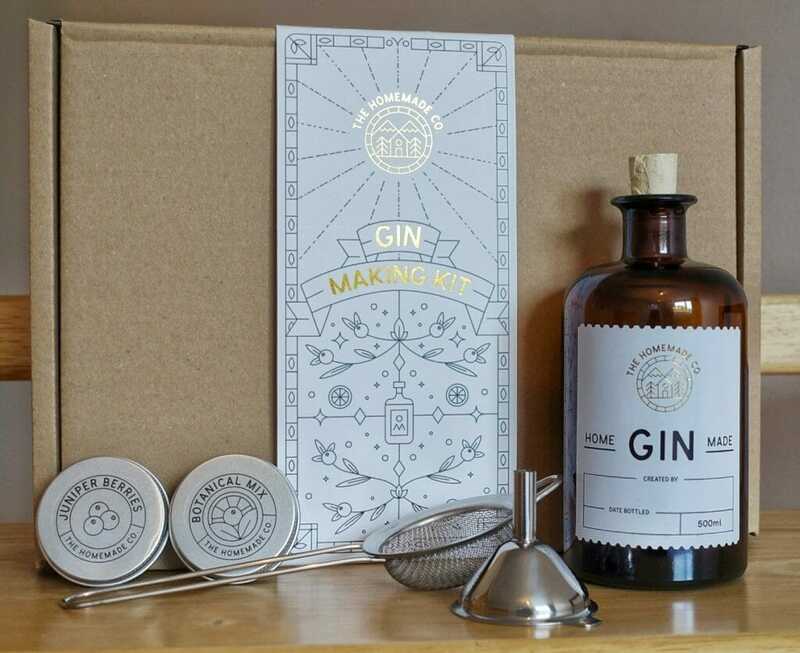 Pin me for your gin gift ideas!